This past year, some of our treasured writers and publishers left this world. The loss of creative individuals is felt not only by family and friends but reverberates to the general public. Their voices are stilled, and we are left only with what has been published, recorded, or filmed; stories that we have enjoyed before and may find ourselves drawn to again. I mourn the passing of Carol Reuss, a friend and one-time fellow member of Women in Communications, Inc.
Carol died on Wednesday, December 31, 2018. She was one of the first women on the faculty of the UNC School of Media and Journalism in 1976. She started the public relations program and guided many students in their choice of a career in communications. A quiet- spoken woman, she was generous with her time and interest. After her teaching career ended and she became Professor Emeritus, she served as an Associate Provost at UNC from 1987-94. Perry Deane Young died on New Year’s Day 2019 in Chapel Hill. A couple of years ago, I ordered a used book from Amazon and was thrilled to find not only had it been mailed form Chapel Hill but it had his name on the flyleaf. 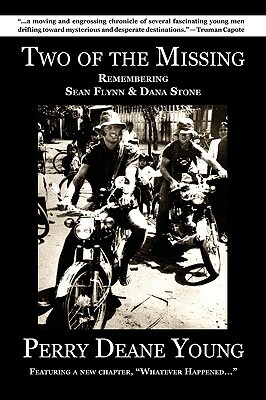 Young was a journalist and author who first found fame as a Vietnam War correspondent. He attended UNC in 1959 and returned to Chapel Hill in 1993. Young also wrote plays and books, one of which was the 1977 best-seller, The David Kopay Story. His time in Vietnam as a war correspondent for United Press International was later fictionalized as the Dennis Hopper character in the 1979 movie, Apocalypse Now. When he was interviewed by the News & Observer in 2015, he said that of all the Vietnam movies that was the one that got it most right. His best-known book was also about Vietnam, Two of the Missing. Billy Barnes, Sr., was a photographer, writer, and film producer who died September 5, 2018. He too lived in Chapel Hill, and our paths had crossed a number of times, participating in various community events and writers’ conferences. Barnes became a photographer during the late 1950s, following a tour of duty in the Korean War. His first job was with McGraw-Hill Publishing Company in New York where he established his reputation as a documentary photographer. He worked for the North Carolina Fund in 1964-1968, which was an offshoot of Lyndon B. Johnson’s War on Poverty. In the years that followed, his photographs and articles were published in local and national media, as well as short film features on UNC-TV. Barnes was also a lover of music and played the guitar and harmonica. Ralph Bernard Reeves, III, died at the beginning of 2018 on February 24. Better known as “Bernie,” he was a vibrant personality and civic and community leader. He had attended the University of North Carolina and had a keen interest in history. He founded an alternative weekly paper, launching the Spectator Magazine in 1978, and I was thrilled when he published some of my travel articles. When he founded the Triangle Business Journal in 1985 I became one of his contributors. Reeves was a keen promoter of the growing Raleigh, Durham, and Chapel Hill area, envisioning it would become, “the Triangle, a uniformed community, whether they liked it or not,” he wrote. He received many awards for his professional work and service to the North Carolina community, a more complete list appeared on the News & Observer Obituary page on February 26, 2018. In 2011, he was honored by the Association of Retired Intelligence Officers for his founding and producing of the Raleigh Spy Conference. On the national scene, I note the passing in 2018 of Anthony Bourdain, Harlan Ellison, Peter Mayle, V. S. Naipaul, Philip Roth, Neil Simon, and Tom Wolfe. Their stories introduced readers to a variety of experiences. 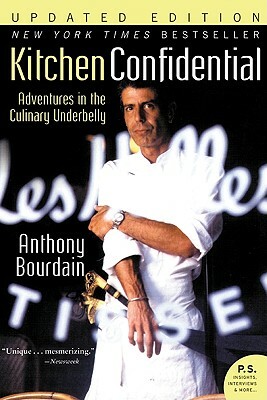 Bourdain’s memoir of his life as a chef in Kitchen Confidential, warned what could happen if you alienated your waiter. Naipaul presented colonial society at the beginnings of great transition, using mostly his own family in A House for Mr. Biswas. Philip Roth explored male sexuality, Jewish identity, and mortality in Portnoy’s Complaint and Tom Wolfe, a journalist and satirist, skewered the elite in The Bonfire of Vanities. France has been a favorite holiday destination for me ever since I was a young girl and Peter Mayle’s memoir A Year in Provence describes life as it was in the mid 1980s. The book was expected to sell only a few thousand copies, but more than 5 million copies were sold worldwide. He followed up with Toujours Provence in 1991. After experiencing visitors knocking on his door and walking through his property he was disenchanted and for some years he moved to Long Island New York, but returned to France in the late 1990s without revealing his location. In 2006 he said, “The only thing I want from tomorrow is that it should be as good as today.” He died in a hospital near his home on January 18, 2018. For more than forty years, Neil Simon entertained readers and playgoers with his humorous observations of life. He won the Pulitzer Prize for Lost in Yonkers and the Mark Twain Prize for American Humor. His play Brighton Beach Memoirs ran for four years on Broadway in the post-1950s era. In his 600 plus page book, Memoirs, Simon said he created the play’s family by doing the exact opposite to what happened to him in his own life. The Goodbye Girl is another of my favorite movies, with Richard Dreyfuss and Marsha Mason, who became the second of Simon’s four wives. Simon was 91 when he died August 26, 2018. For those of us who enjoyed their creativity there is sadness when their voices are stilled. But how fortunate we are that we can access their works in print or on screen. They are gone but not forgotten. This article originally appeared in RPG. This was written by charles. Posted on Tuesday, January 29, 2019, at 1:29 pm. Filed under Uncategorized. Tagged 2018 literary deaths, billy barnes, carol reuss, dennis hopper, marsha mason, Neil Simon, richard dreyfuss, tom wolfe. Bookmark the permalink. Follow comments here with the RSS feed. Both comments and trackbacks are currently closed.